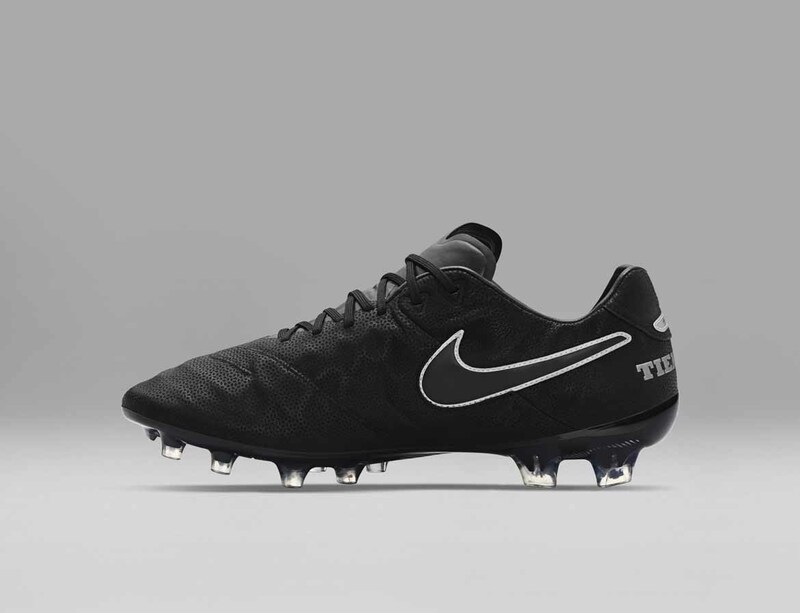 Here’s the second generation Nike Tech Craft Pack. 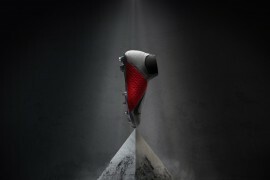 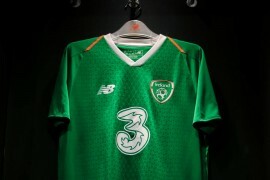 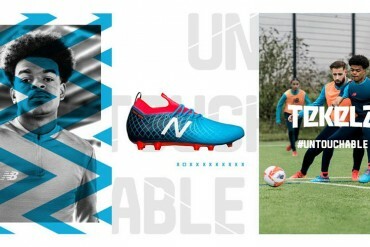 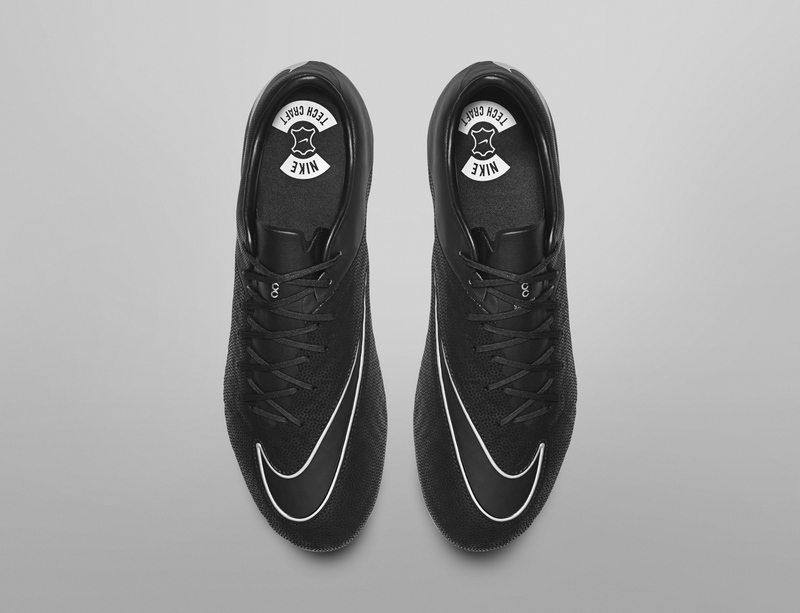 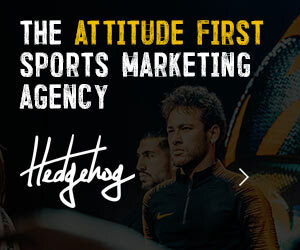 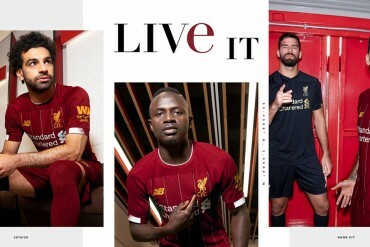 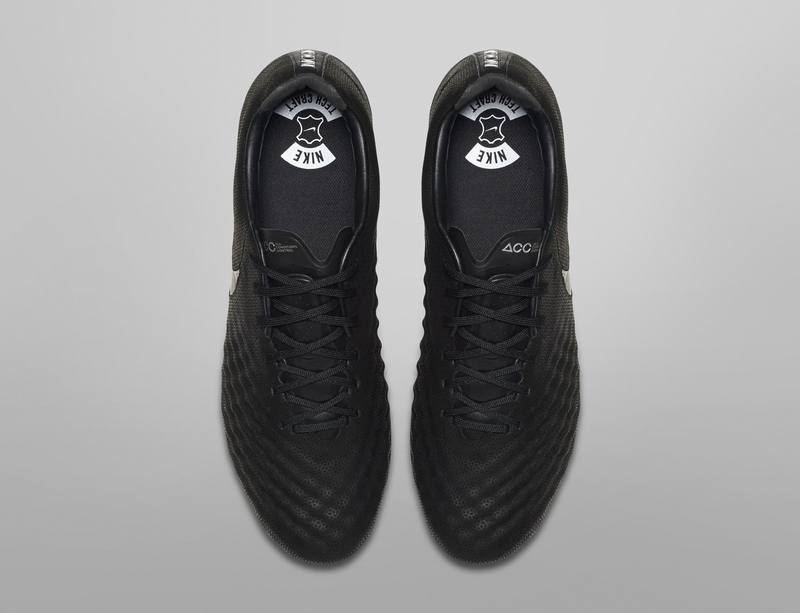 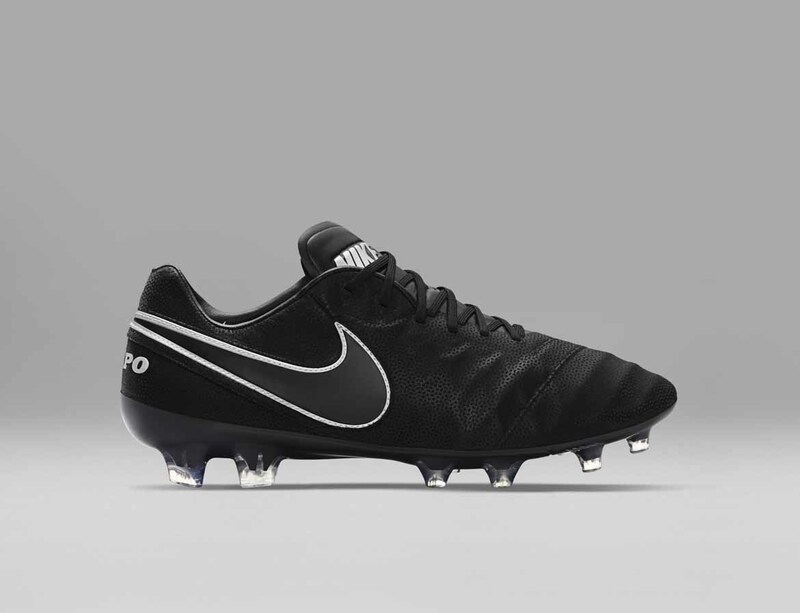 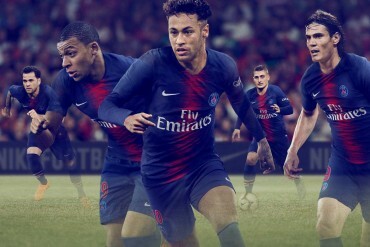 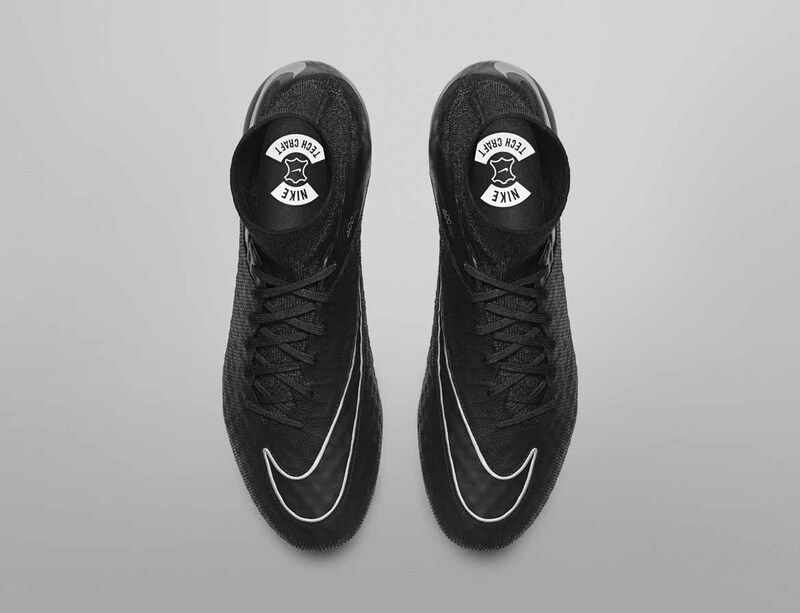 First launched in 2015 – The new collection are made up of premium Alegria leather football boots for all the main Nike silo’s; Hypervenom, Magista, Mercurial and Tiempo. 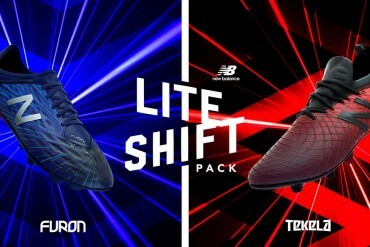 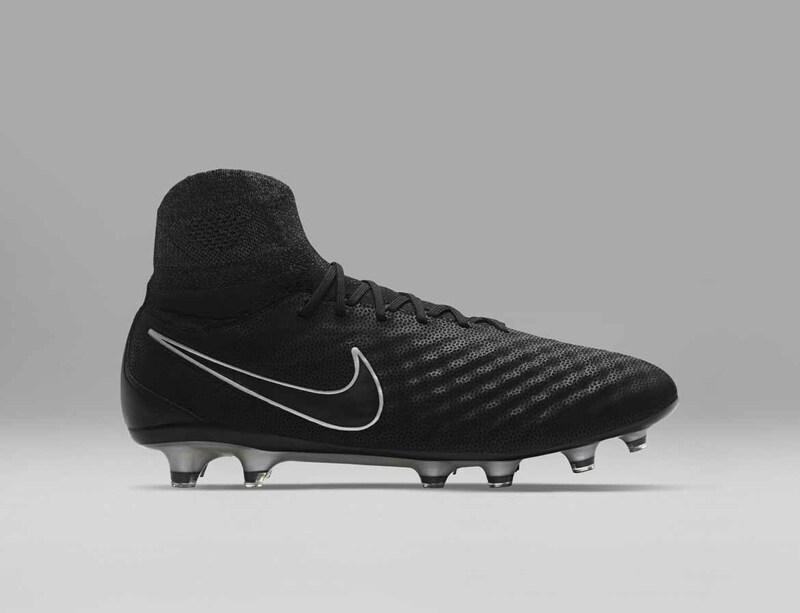 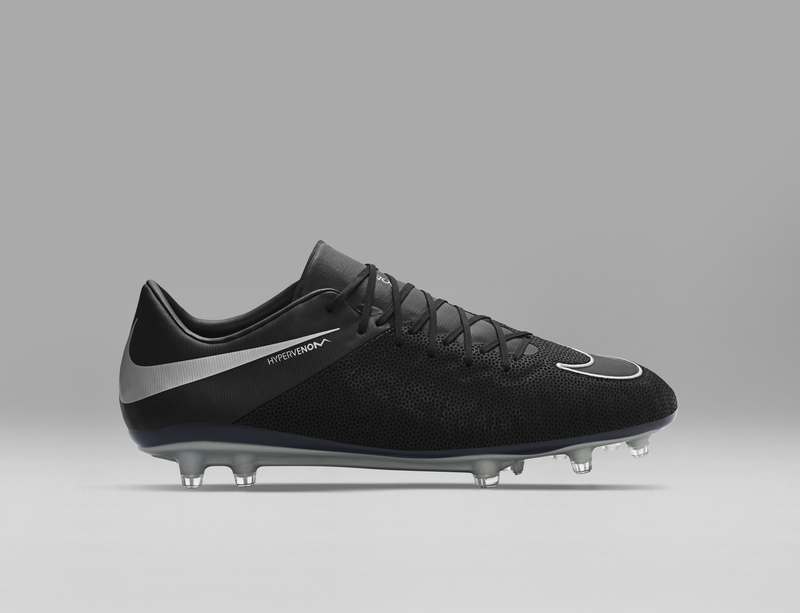 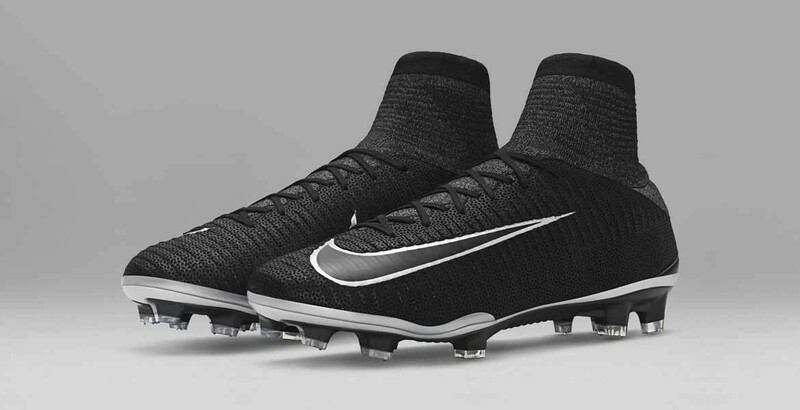 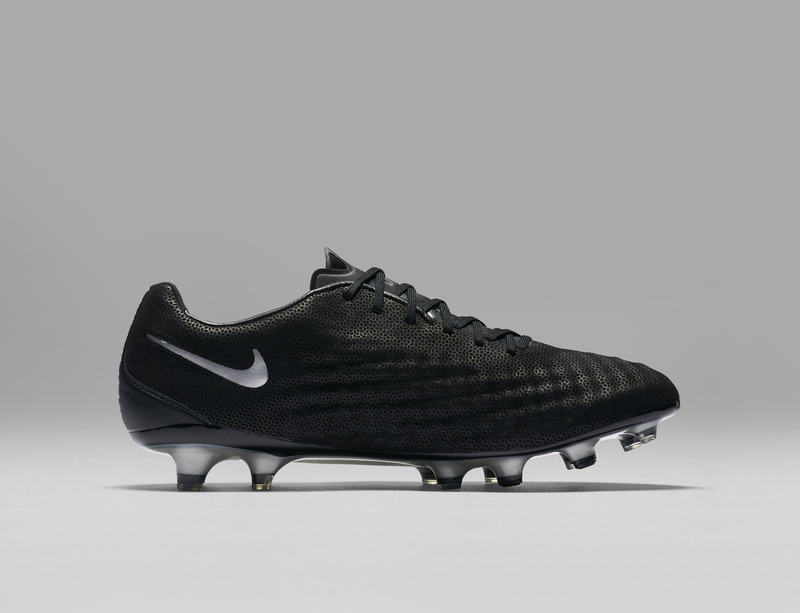 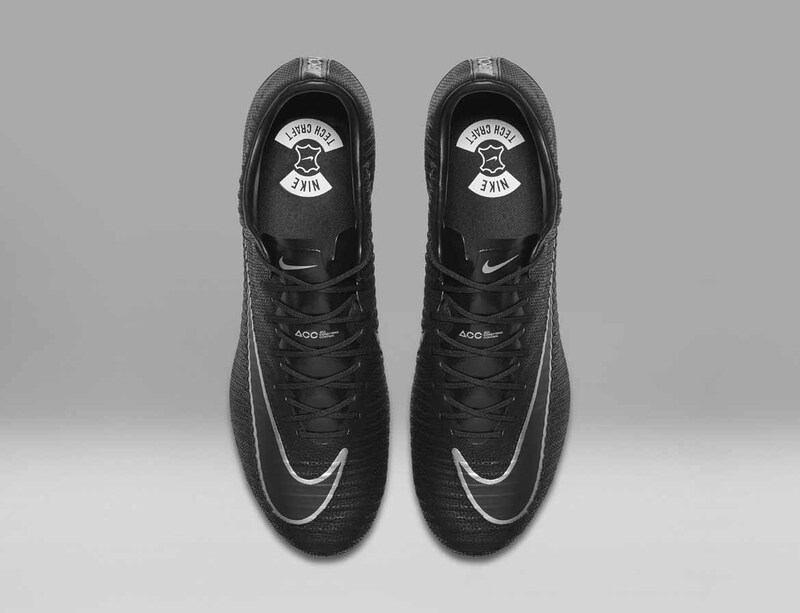 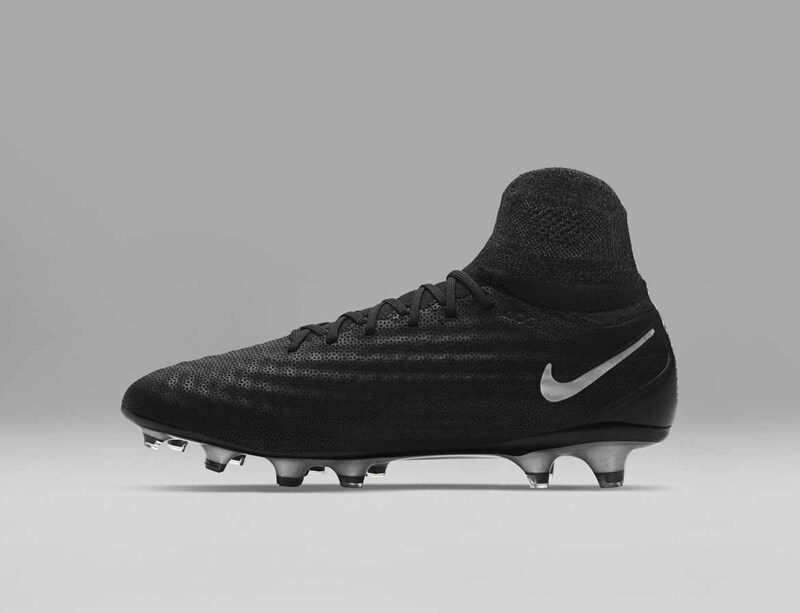 The latest Nike Tech Craft pack, which encompasses the four main boots from Nike, is delivered with an all-black upper and silver swoosh. 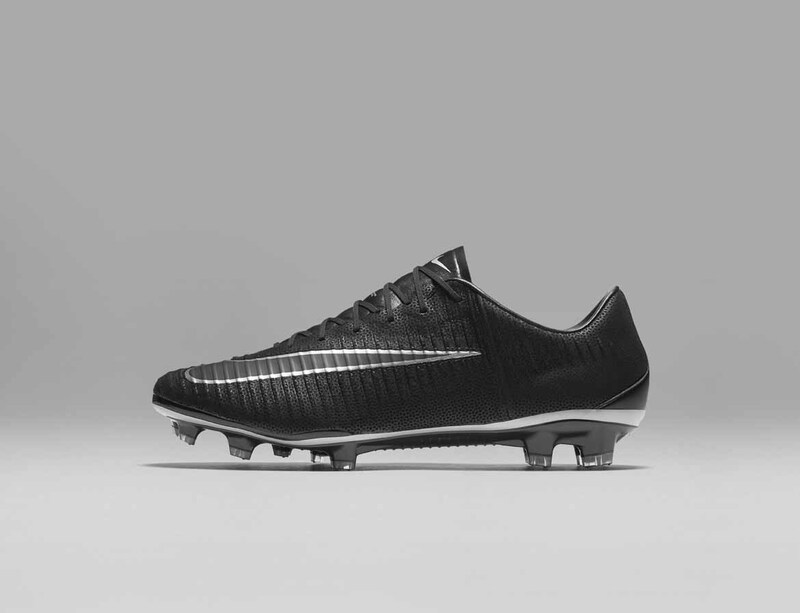 With Tech Craft collection, you’ll benefit from the premium Alegria leather on the boots’ upper, updated with a subtle and intricate embossing pattern for an even softer feel and responsive touch. 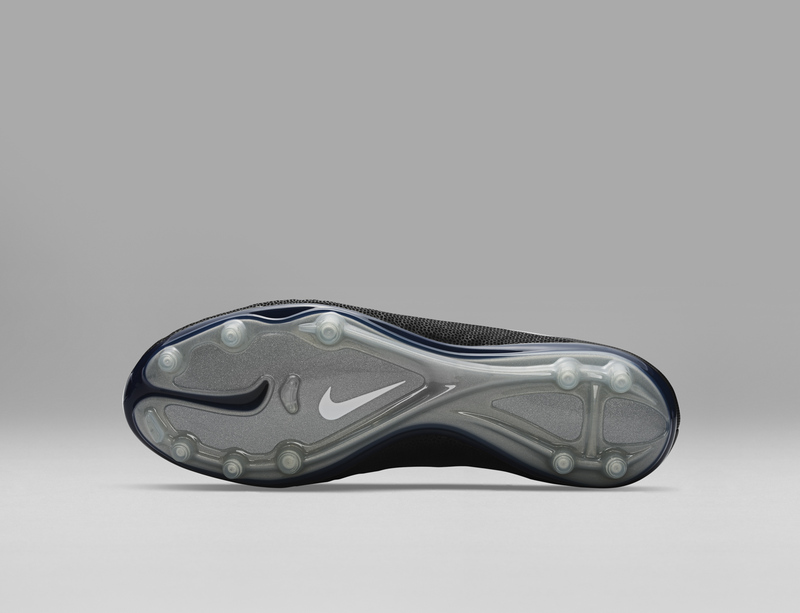 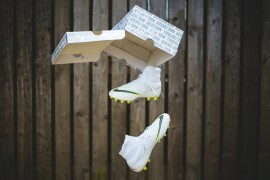 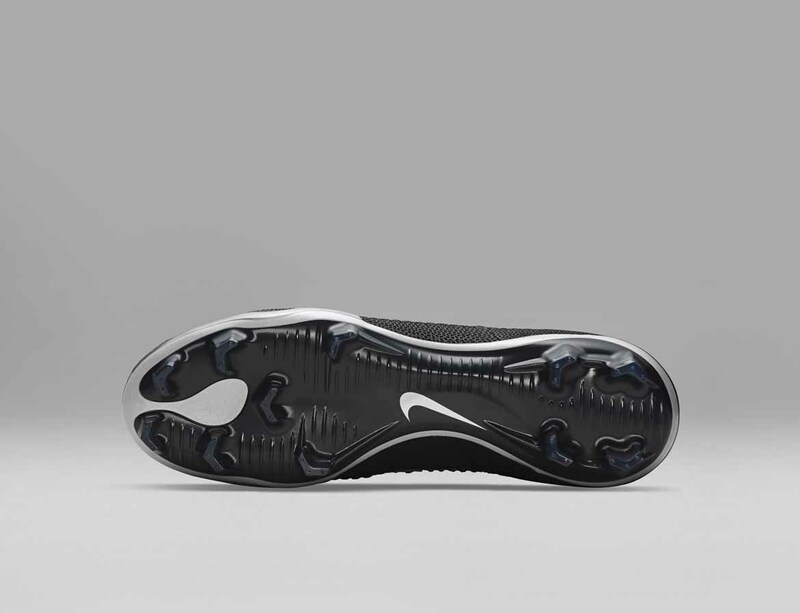 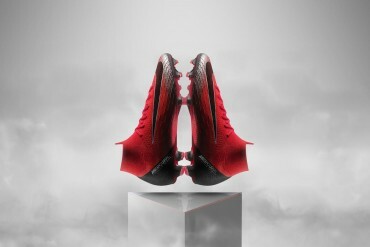 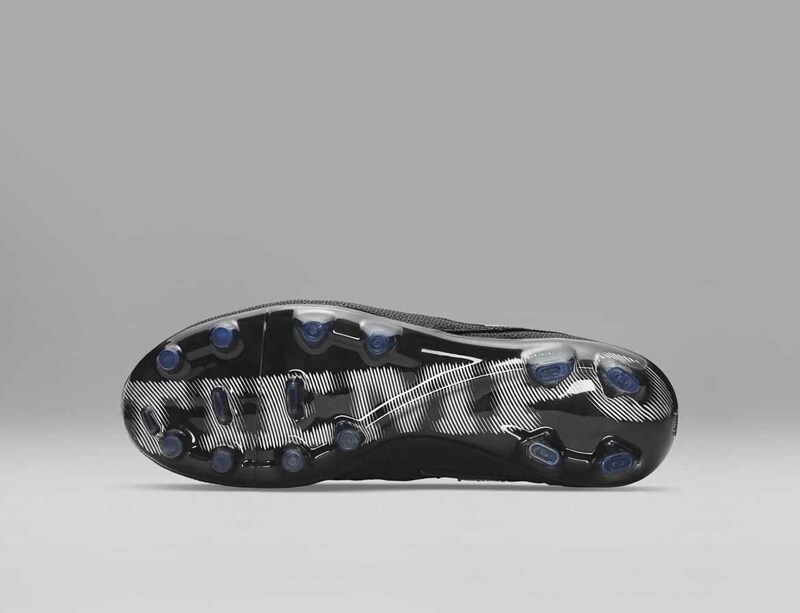 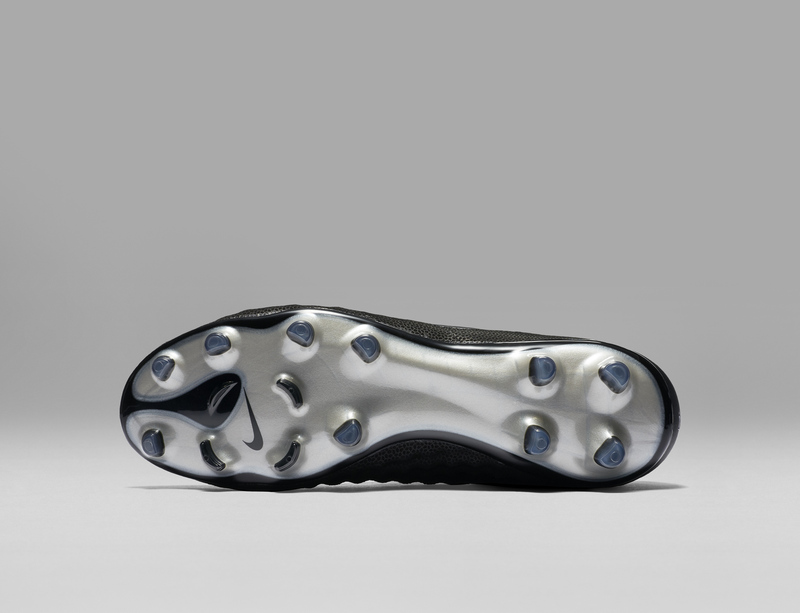 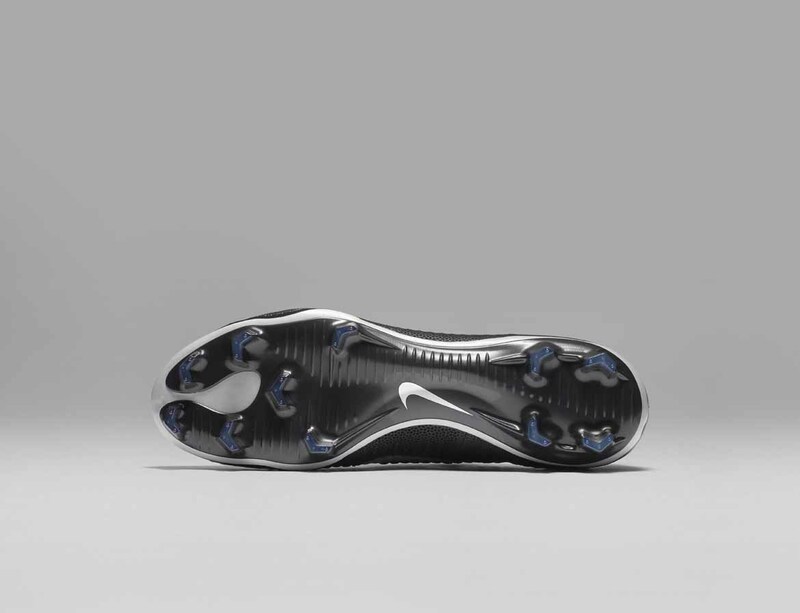 Nike’s All Conditions Control (ACC) technology is applied to enhance ball control in both dry and wet conditions. 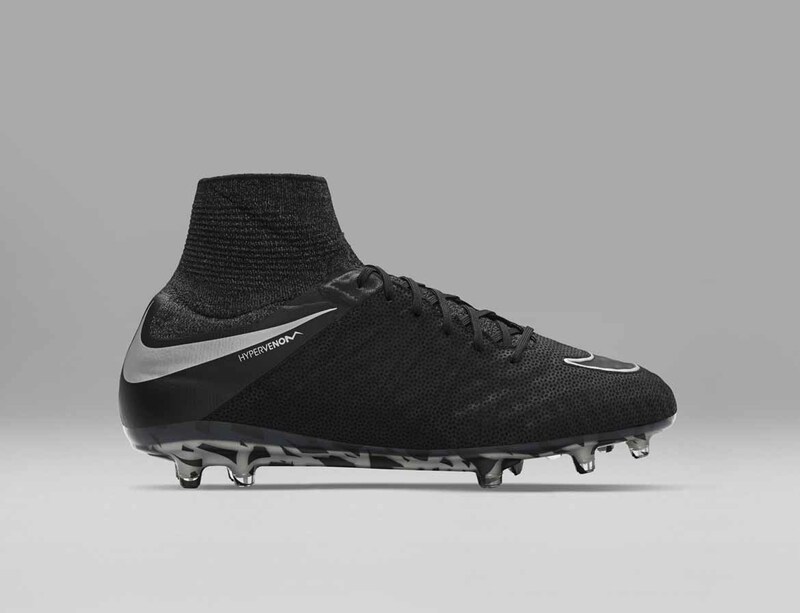 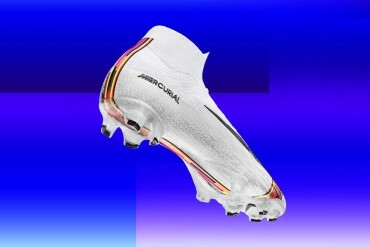 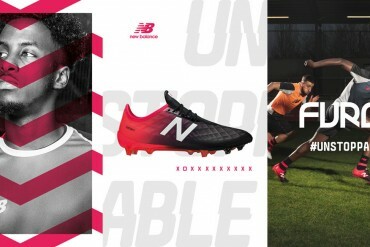 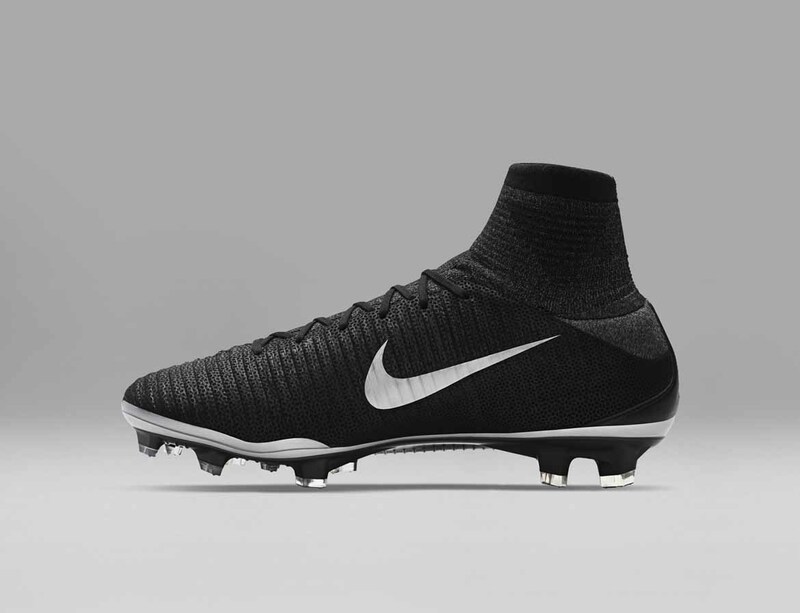 The boots that have the high-cut silhouette continue to feature Flyknit Dynamic Fit Collars, providing fit and lockdown through the foot and ankle. 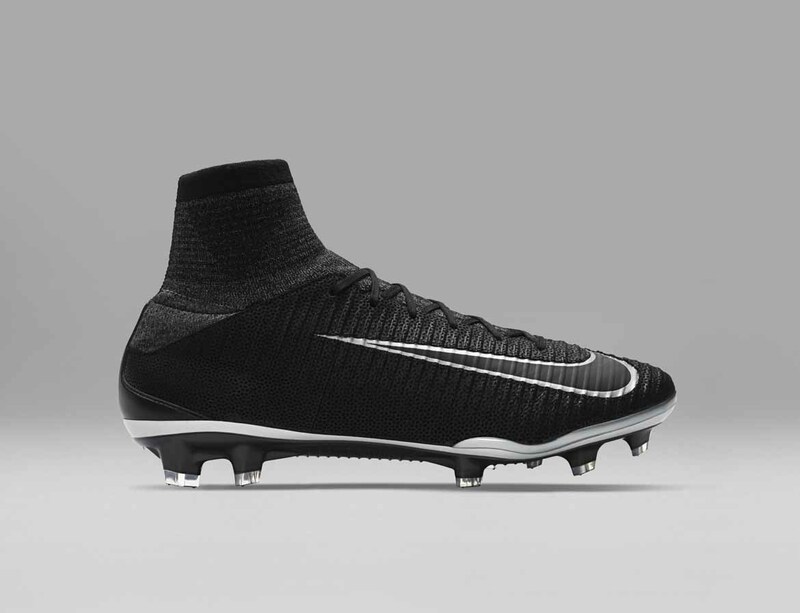 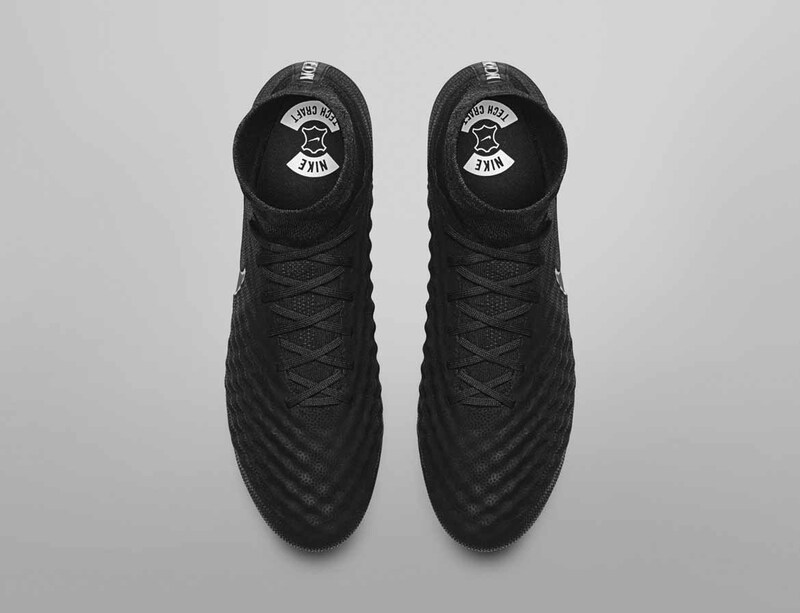 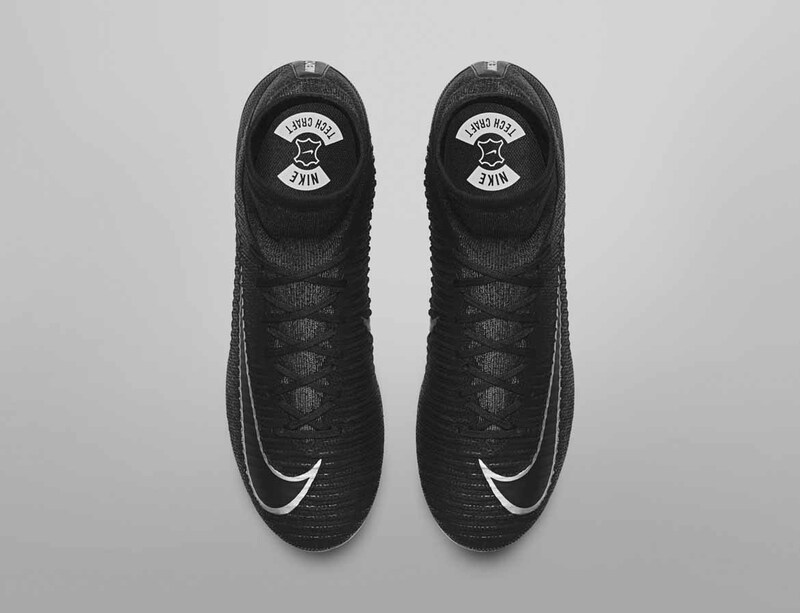 In order to maximise touch by bringing the foot closer to the ball, designers stripped the Flyknit layer used throughout the rest of the boot for the benefit of a more traditional leather structure. 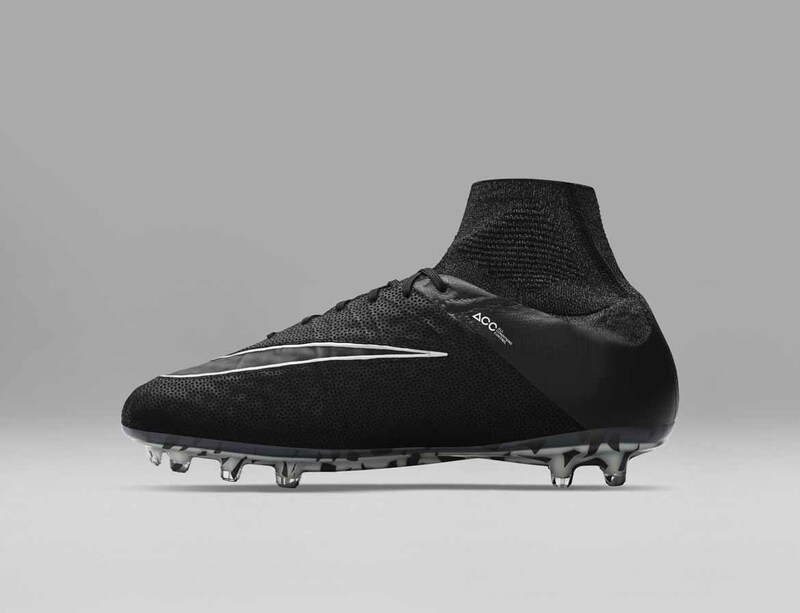 This update to the collection gives the material the ability to mold to the foot and provide its most natural leather touch. 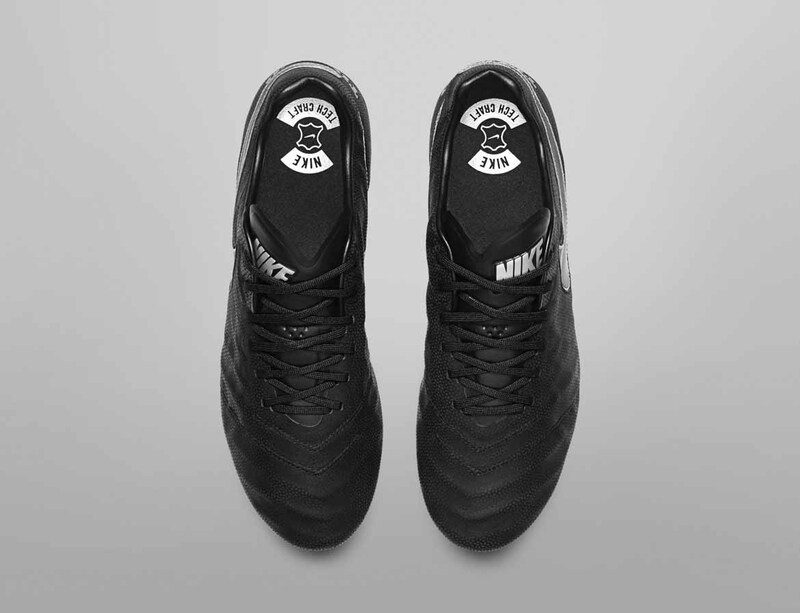 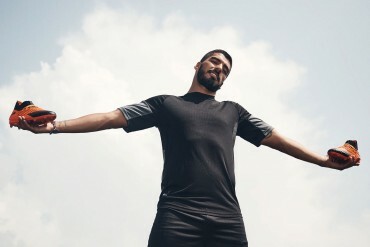 If leather is the way you roll, then this collection which offers the elite Nike silo’s in premium leather is heaven sent.